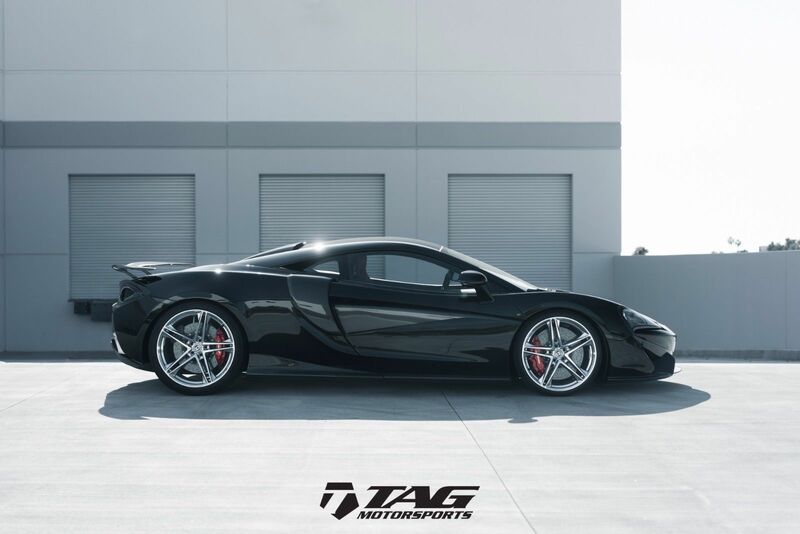 Introducing the Novitec 2017 McLaren 570S built by TAG Motorsports. 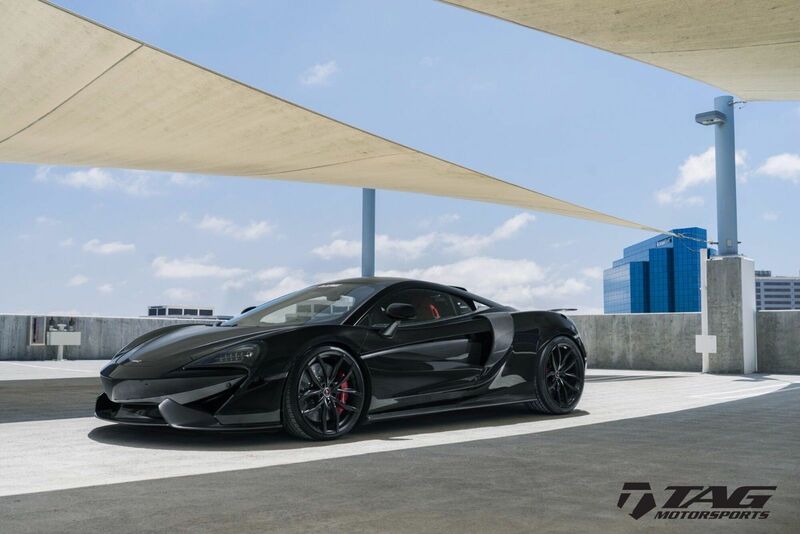 This one is a special project we comissioned with our friends at Novitec. The car is something absolutely stunning. Very unique and quite possibly the sexiest car on the road. The vehicle is painted from the factory in a very rare FIRE BLACK color which has beautiful metallic copper and red flakes in the paint. 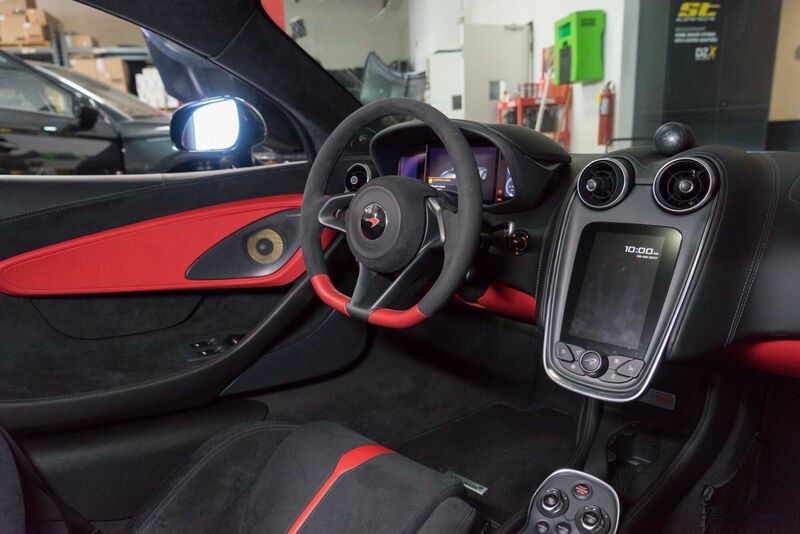 Additionally, the vehicle was optioned with the beautiful McLaren Design Interior Package which comes with red leather on the tops of the chairs, with alcantara on the rest of the seats and much of the rest of the interior with a beautiful black leather dashboard. The Lux package gives you the soft close doors, the upgraded stereo and much more! 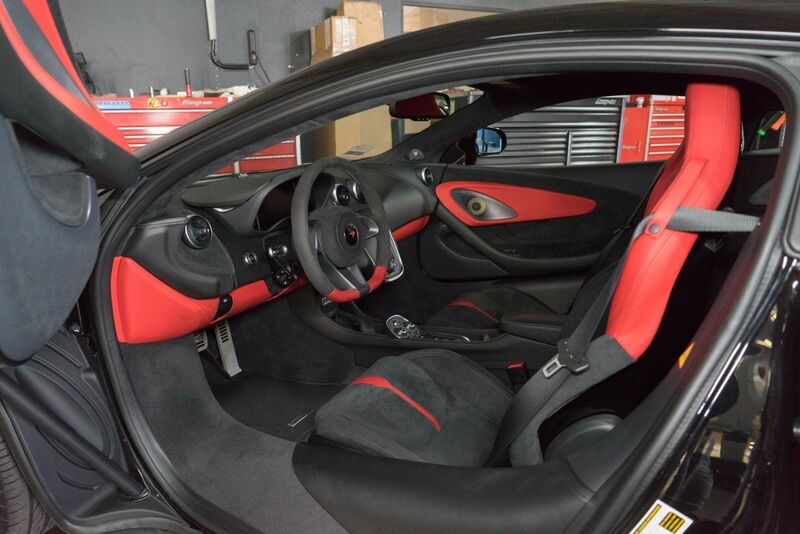 To give the car added contrast to tie the interior in with the exterior, The factory calipers were painted in McLaren Volcano Red which looked stunning. 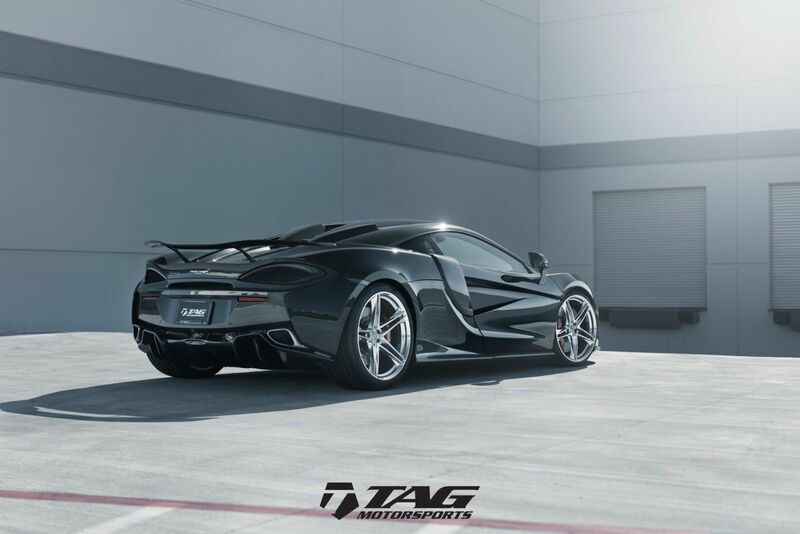 The vehicle was built to be a demo car for TAG Motorsports to showcase the extent of work we can do, much like our previous demo cars such as our recent Novitec California T, TechArt Turbo S, Startech Range Rover Sport and much more! 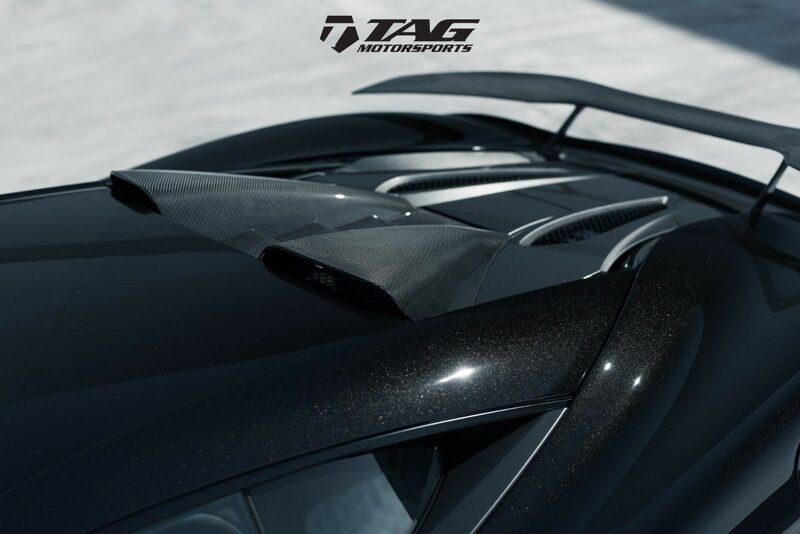 The complete aero package has been designed and wind tunnel tested in light weight carbon fiber. 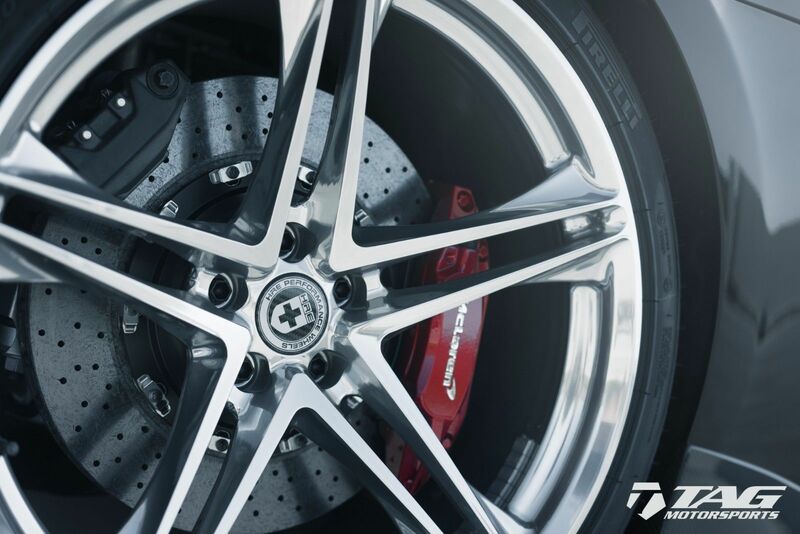 The Novitec aero components provide improved aerodynamics, while giving the vehicle a more aggressive appearance. The Novitec front lip connects the two front flaps to give the front a more aggresSive style. 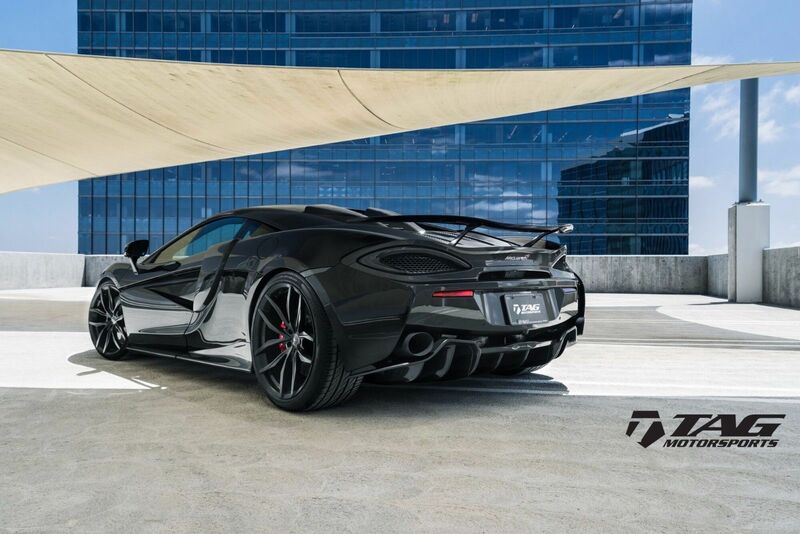 The Novitec Side Skirts and Side Air intake in carbon give the car a meaner look as the rear of the skirt flows with the body line and the side Side Air Intake flows nicely with the door line. 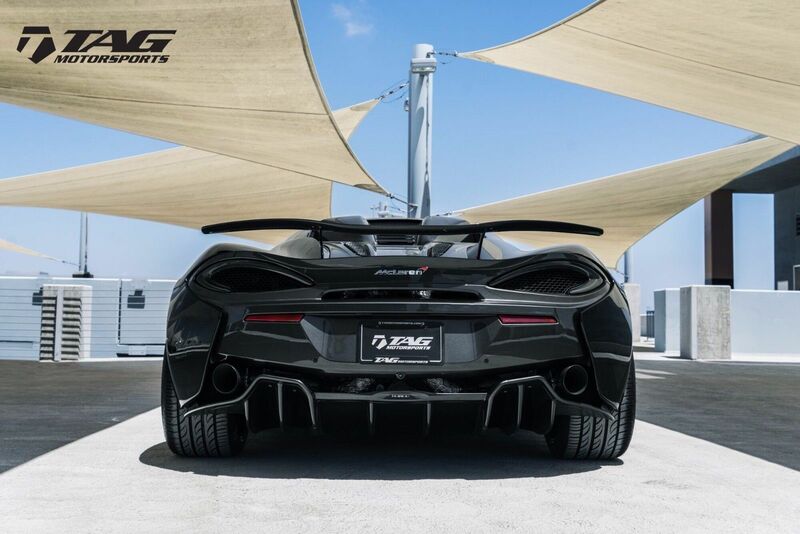 The Novitec Rear Wing adds a very classy and beautiful element to the car making it much more P1 Like. And the Novitec Rear Air Scoop directs air into the engine bay cooling off the engine compartment and offers a very exotic look to the car. 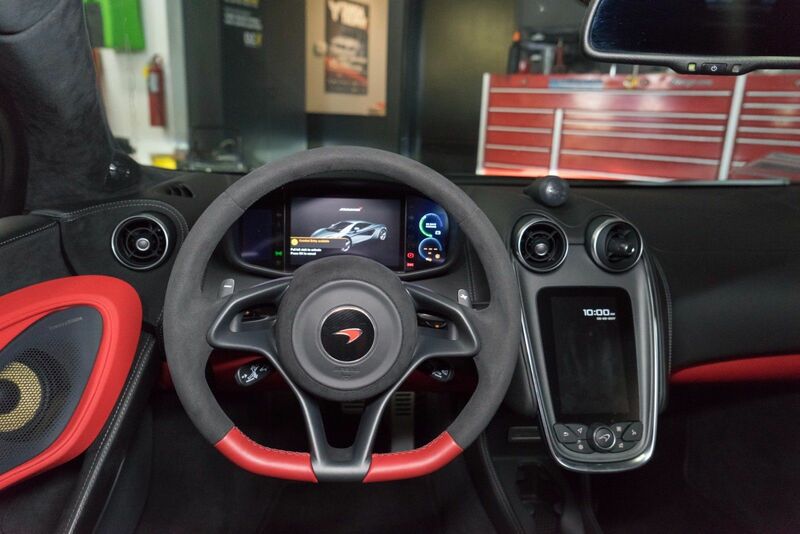 Moving on to motor performance, it has been achieved through upgraded engine management software bringing the power over 650 and over 550 ft lbs of torque. 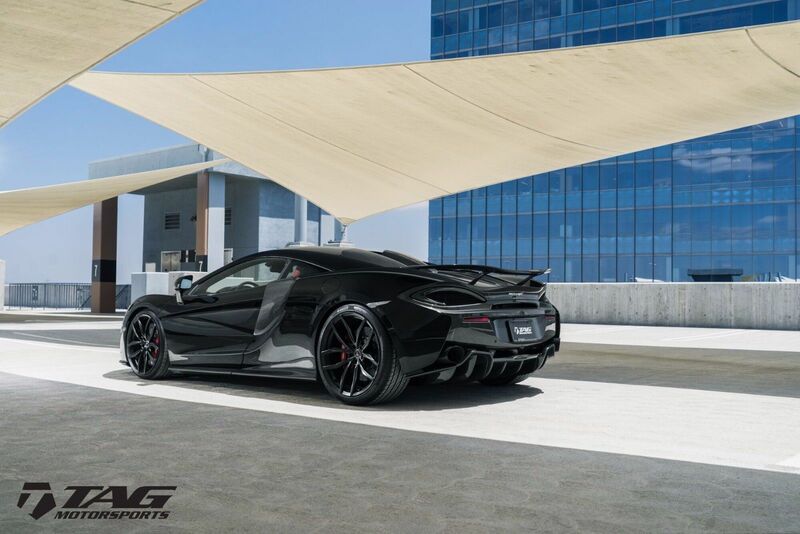 This is achieved in combination with the AWE tuning Exhaust and the Novitec Stage 2 N-Tronic Software Upgrade. The beauty of the power is the car is very civilized until it is put in TRACK mode which is when all the power is unleashed. 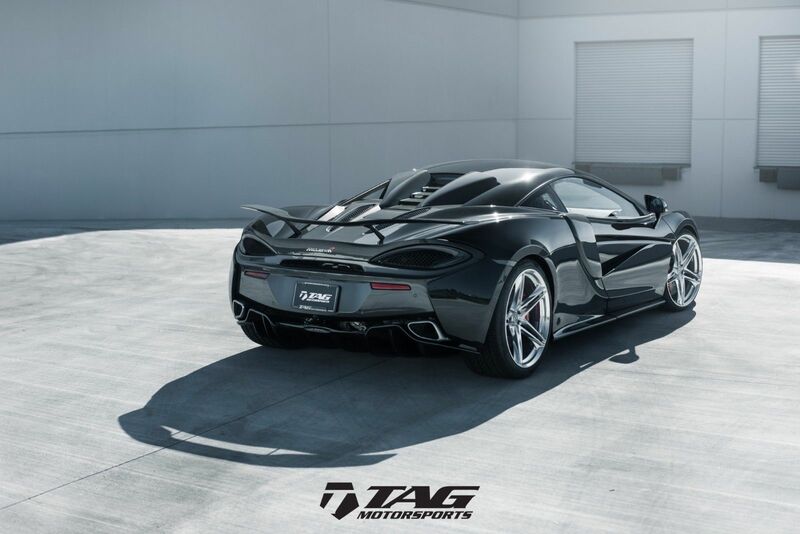 The AWE Tuning Exhaust and X Pipe give the car a much more aggressive tone without being over the top. It also adds a very nice turbo whine and spool sound which really makes the vehicle sound as good as it looks (especially with the black Novitec Exhaust Tips). After driving several McLaren's and other 570's, this car is world's ahead of all other 570's in terms of WOW factor, Speed, and just overall satisfaction. The car turns heads left and right. 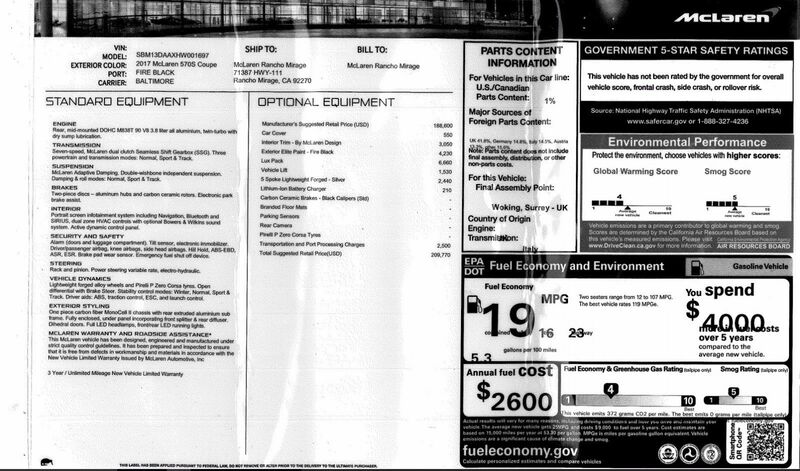 This is your chance to own a very very special vehicle. If you have ANY questions at all, please feel free to contact us! 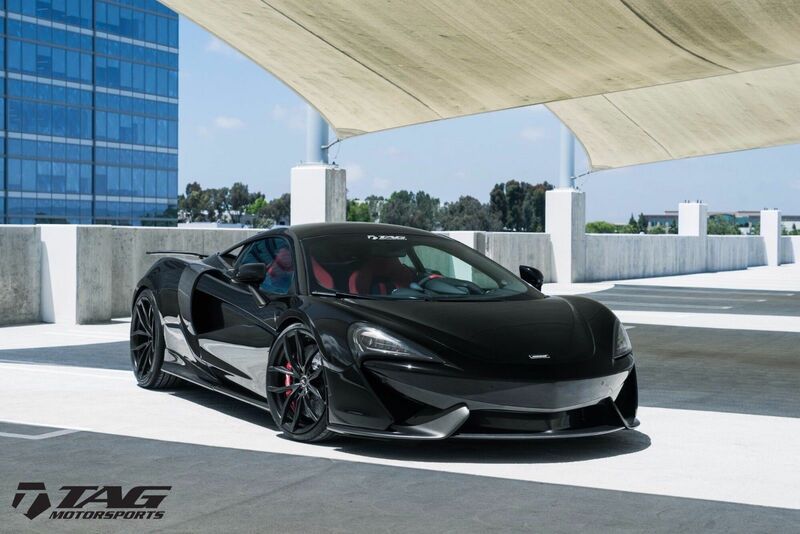 We are here to work with you and make sure we answer every question and get you the most beautiful 570S on the road!